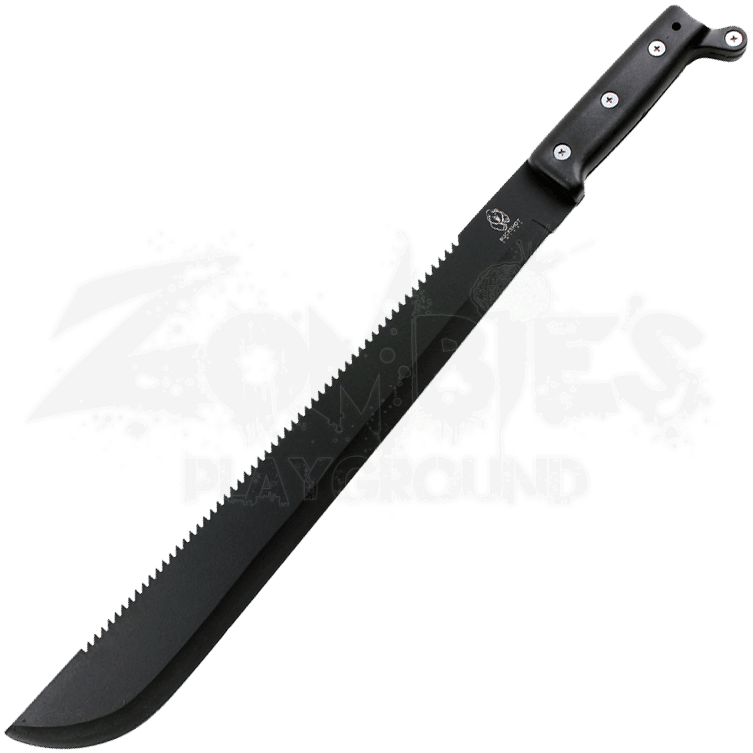 Tackle numerous tasks during your next camping trip with the Black Sawback Bush Machete. Serrations trail the spine, increasing the utility of the Latin style blade. This all-purpose tool is a must-have for the modern survivalist. 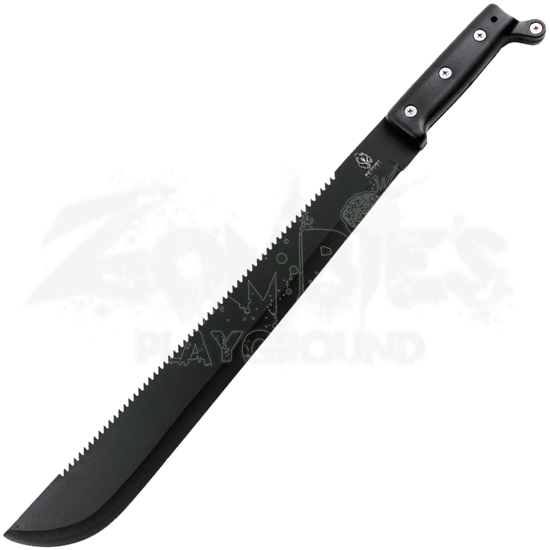 A black finish covers the stainless steel blade. A textured handle made of ABS provides a stronger, steadier grip. A projection at the end of the handle further assists in preventing slippage. Keep this nifty survival tool close with the included black nylon sheath.